When you need materials for a new fence installation or security and access control products like gates, turnstiles and gate operators, choosing high-quality products is the key to long life and a great return on your investment. Whether you’re a home or farm owner, a government agency, business manager, or contractor, the availability of products in your own area may be limited. 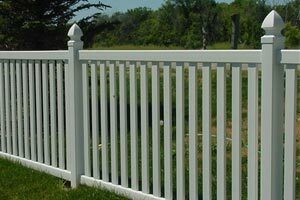 Big box stores and farm supply outlets in most areas offer some of these fencing materials, but those materials may not suit your needs or may not be of the high quality you demand. At International Security Products, we have carefully selected a complete range of fencing products for DIY installation, along with security and access control products that combine top quality and value. High-Quality Products – We offer only top-quality fencing and security gate products in each category, all carefully selected by our experts. We understand your need for long life and value, and never compromise on quality. Wide Selection – From automatic gate operators, security gates and full-height and tripod turnstiles to PVC vinyl and aluminum ornamental fencing, we offer a complete range of styles and designs in each category. You’re never limited to a small selection of designs, as in typical local stores. Direct Shipping – Instead of forcing to you pay two shipping charges, one to our store location and another to yours, our fence store offers fast, direct shipping from the supplier to you. By not adding shipping costs to our location to the price you pay, we save you money. This also allows us to offer a larger variety of products and assures you of maximum value on every order. Low Cost – Since 1983, we have developed strong relationships with suppliers. Our high-volume buying power means that we get maximum discounts from suppliers and we pass the discounts to you. Since we don’t warehouse the fencing products, our overhead is low, so you get even more savings, along with a single shipping charge and faster service. 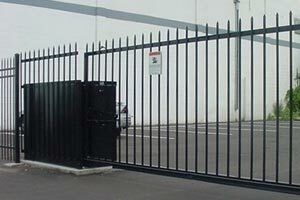 Expert Advice & Service – You’re probably not a fencing or security gate product expert. At our fence company, we are experts, and we’re always ready to advise you for your DIY installation. When you order fences from us, we use our expertise and experience to make sure you get everything you need to complete your installation project through our convenient order assistance program. You provide us with the basic specifications and measurements, along with your choice of design and materials, and we build your materials list to include everything you need. Every order is double-checked and confirmed with you before shipment. When your shipment arrives, you’ll be assured there won’t be any delays due to missing components or parts. We’ve created the International Security Products website to provide a close look at the entire range of fencing, security gates, and turnstile access control products you need. By accessing the pages for the products you’re looking for, you’ll find all the information you need to make ideal choices for your project. Then, when you’ve made your decisions, contact us for assistance in building your order. We’ll answer all of your questions, make certain everything you need is on your order list and give you a price quote for the complete list. Use our price quote requests to provide dimensions for your fencing project or to identify the security and access control products you need. Then, let our expert fencing and security consultants help you create your order. Whatever your fencing, security, or access control needs, our discount fencing store is your best choice. Our intimate knowledge of all aspects of these product lines, our money-saving relationships with suppliers, and our hands-on customized ordering system is your assurance of complete satisfaction for every order. 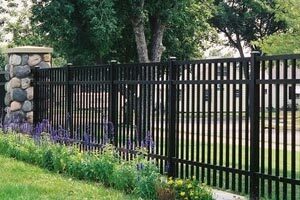 Since 1992, we’ve been the supplier of choice for fencing and security systems nationwide. Wherever you are, International Security Products is your fence and security products expert. Contact us at anytime to discuss your fencing and security needs or to place an order.